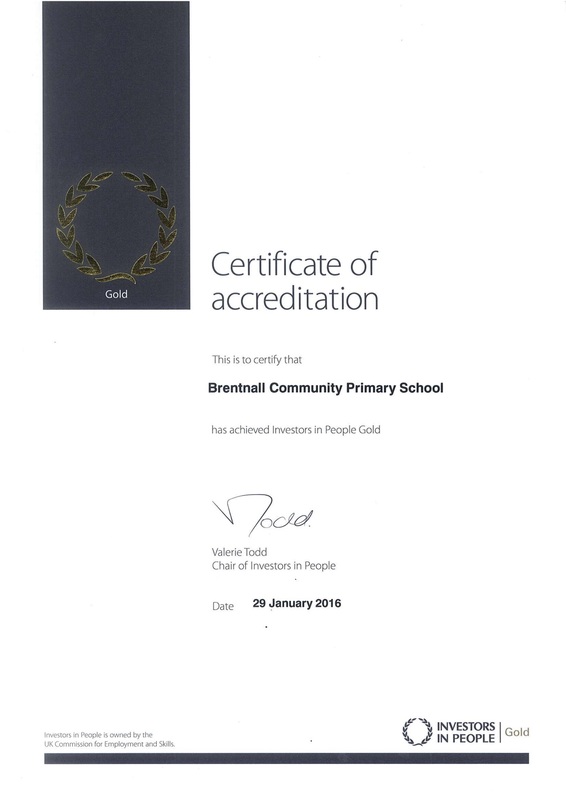 I am delighted to advise that on 29th January 2016, Brentnall was awarded Gold Level status with Investors in People. Successful accreditation against the Investors in People framework is the sign of a great employer, an outperforming place to work and a clear commitment to sustainability. Brentnall joins the top 7% of accredited organisations across the UK who believes in realising the potential of their people. For anyone in the education sector, gaining the Investors in People core award is a great achievement, but to receive Gold Level status is exceptionally rare. 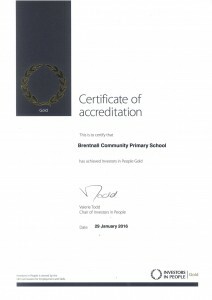 Out of the 4 schools in Salford that hold the Investors in People framework, Brentnall is the only school to achieve Gold Level status and is most certainly something that we are very proud of! In order to gain the gold accreditation organisations are assessed against 165 evidence requirements in 10 distinct performance areas. An inspector came into school and spent 3 days with our members of staff and recognised that everything we do at Brentnall is centered around the children.